Thanks to everyone who came out for the tour last weekend. I had a record attendance of 150 visitors. This is the final weekend so come and see my newest works if you get a chance. I’ll have brownies. Cheers! 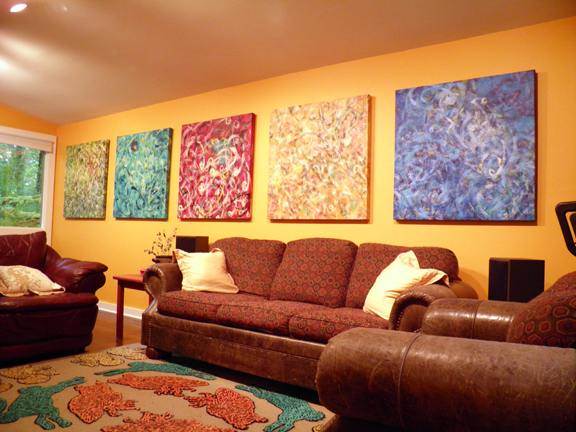 Five of twelve canvases on display and 26 paintings all together.